Stilt Circus Presents "A Journey to OZ"
“2017 Barham Award Winner” Stilt Circus creates unique, professional, theatrical presentations. 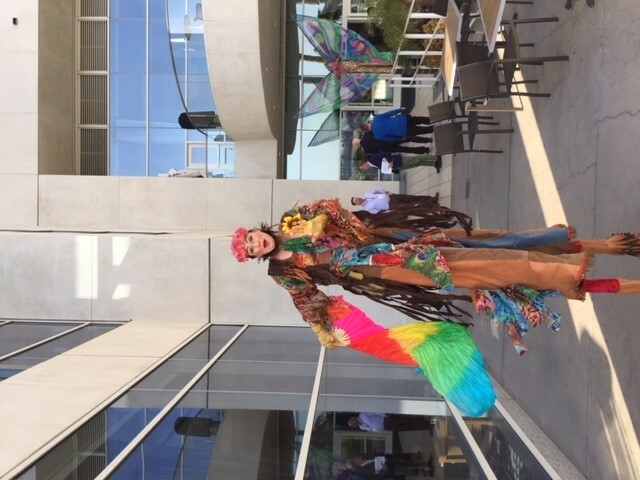 Catering to a variety of diverse clients, our costumed characters bring a Fantasy-Friendly presence to all performances. Stilt Circus has staged presentations all over the world at various Theme Parks, Festivals, Theaters & Corporate Events since February 2006. Audiences are captivated & delighted by our original stage shows & whimsical strolling ambient entertainment through pantomime, playful gestures, prop manipulations & guest interaction. Our performances include but not limited to Stilts, Giant Puppets, Juggling, Unicycling, Rola Bola, Ball Walking, Multi Hoop, Hula Hoop, Fire Dancing, etc. We’ve been doing the same fundraising event for 13 years and never have people been more intrigued or excited about our event as they were with Richard our stilt performer. He was kind and interactive, charming and fun. He knew when to put on a show and when to stand back. Many people asked where I found him. I would for sure hire him again! He was well worth the money. Dana, Thank you so much for taking the time to write such a great review. I am so glad to hear you were pleased with Richard's performance. I know he had such a wonderful time entertaining your guests. He phoned me after your event talking about what a fun event it was for him to perform. Thanks again for choosing Stilt Circus for your entertainment needs. We look forward to working with you again! Stilt Circus provide (2) Stilt Walkers for our ASAM's Annual Conference Attendee Reception. They made the event and both walkers interacted with all the attendees, which increased a very positive level for all involved. Thank you so much for your review, John! I'm so happy your event was a success and you were pleased with our performers! It was a pleasure doing business with you! 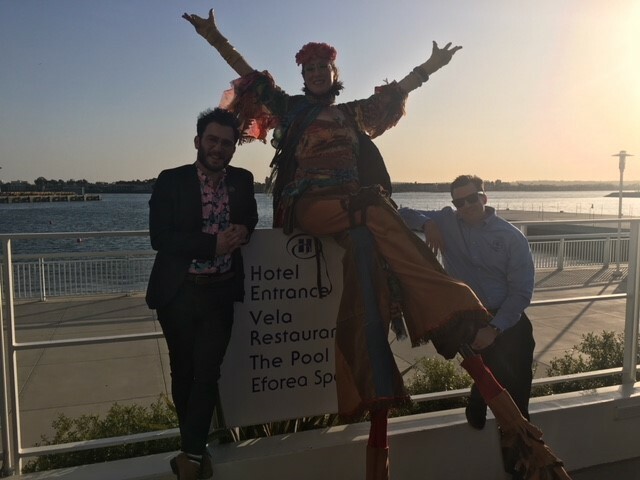 These guys are so amazing it's unreal, we had just one girl named Rebeca on stilts at our event and she made the venue look so cool and entertaining. 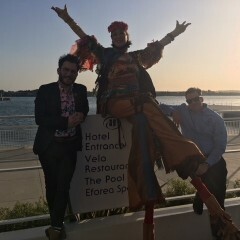 All our guests loved taking pictures with her and she danced all night on those stilts thank you for a unforgettable night!! Thank you for your very kind review Harout! Rebecca had such a wonderful time entertaining you and your guests! It was a pleasure working with you! Stilt Circus provided Stilt Walkers for our video production project and they were simply amazing! Their costumes were very rich with detail and their face paint definitely added a little something extra to their performance. We couldn't be happier with them and would highly recommend them for any kind of event! 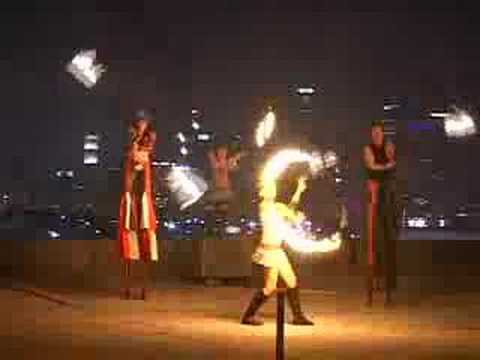 We hired Stilt Circus to add a "Wow!" 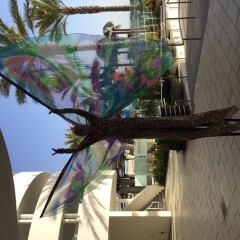 factor to our trade show booth. From beginning to end, they were professional, efficient, and easy to work with. On the day of the trade show, Rich showed up early, was friendly and engaging, and worked well with our team. 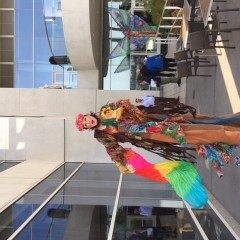 His costume was amazing and his stilt performing skills were fantastic. Whether a personal, private, or professional event, hiring Stilt Circus will add an incredible dimension to your event. Thank you so much for the great review. I know Richard had a wonderful time entertaining you, your coworkers and your guests. I'm glad your event went well. We wish you much success in your future endeavors! Top quality entertainment with visually stimulating performances and costumes. We have been told we have the best costumes in the industry. 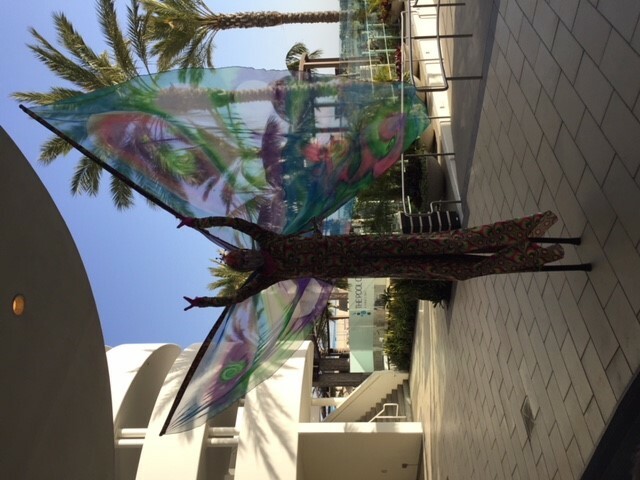 All of our performers are highly trained and skilled at their specialty, they can act as strolling entertainment throughout your event and/or present one of our many theatrical shows. The cast of Stilt Circus has been performing all over the world at various Theme Parks, Festivals, Corporate Events & International Music Tours since 2000. 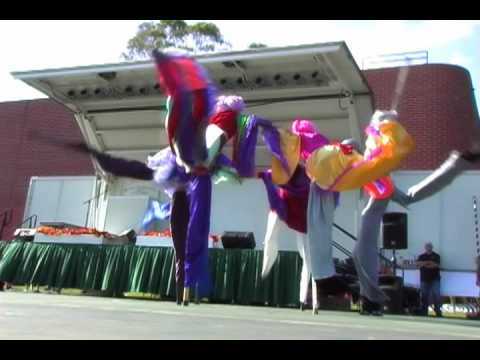 Our stilt performers need a minimum ceiling height of 10' for performance area.